Teaching a child to the outside world is not only the stories of parents, educational walks, classes. 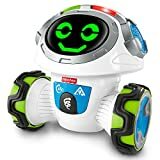 Toys are a must-have attribute of any kid’s daily activities, so manufacturers give robots and dolls learning functions through direct interaction with the owner. Modern toys will not be silent with a frozen expression on their faces; they can walk, sing, carry on a dialogue with the child, train him and learn on their own. The choice of interactive toys is wide: from cute fluffy pets to real nanobots with artificial intelligence. The choice depends on the child’s age: smart robots that are difficult to control are suitable for schoolchildren, and younger children are better to offer special educational toys. 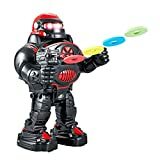 Experts at Robottler offer you a ranking of the best interactive toys for children of all ages. 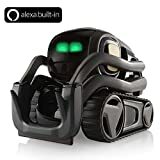 Anki Vector is no longer just a home robot, but a full-fledged companion, ready to help with something or just to chat. He is curious and attentive. Vector can answer questions, take pictures for you, show the weather and much more. Vector independently moves and returns to the charging station, avoids obstacles and recognizes people. Anki Vector uses the latest generation processor, which made it possible to get performance twice as high as in Anki Cozmo. To be always interesting for you, Vector's software is updated every month, introducing more and more new behaviors and game modes. Open the app to receive daily tasks and maintain the level of health and motivation of your robot. COZMO is a miniature robot that can show emotions, compete with you, get angry, be surprised and even sneeze, and sometimes even suspect something. This is not just another robot that goes dusting on the shelf after the first weeks of the game. He will become a member of your family. 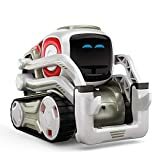 COZMO doesn't just move, he explores; not just learning, he makes plans. He does not just see, he will recognize you. Self-consciousness makes him almost human. Do not call it a toy; it is a supercomputer on tracks! COZMO is tighter than he seems. More than 300+ parts are carefully designed so that Cozmo will delight you as long as possible. COZMO, like us, loves animals. Now he can detect cats and dogs, reacting to them accordingly. He can not wait to see your pets! Use the powerful Cozmo Software Development Kit (SDK) to tap into Cozmo's advanced robot technology and software. Create new behaviors for your Cozmo, limited only by your imagination! 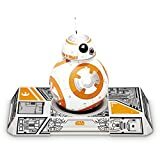 Sphero BB-8 is a spacecraft robot, first shown in the seventh episode of Star Wars and embodied by Sphero. 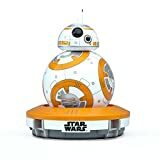 The BB-8 has a spherical body and a dome-shaped head, like the body of R2 series robots, the most famous of which is R2-D2. The developers have tried to ensure maximum similarity with the drone from the film. The robot not only moves in the same way as its cinematic prototype, but it can also show various emotions. The robot can move independently and explore the surrounding space. At the same time, he learns by memorizing the placement of objects and choosing the best routes to avoid collisions. If you install an application on a smartphone or a tablet, you can get videos from the drone that mimic the holographic messages used in the films from the Star Wars series. 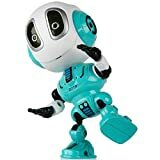 Dash robotic toy from the innovative company Wonder Workshop has become a robot-friend of many children around the world. Curious Dash reacts to sounds, movements, drives around the house and even sings. Cute robot will take up the child's learning and will open to him the world of programming. 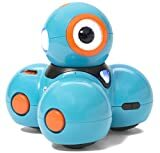 Using colorful applications for Dash & Dot, your child learn how to control robots, create your own programs and codes. Similar to a minion-headed octopus, Dash resembles a character from a Pixar cartoon. The toy is made of high-quality, shockproof plastic and painted in bright colors - blue and orange. Every robot has a big, glowing eye on the head. The toy moves on wheels, the movement of which is provided by the built-in motor. 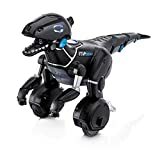 MiPosaur is an interactive robot from the WowWee company that will become a favorite toy for every child! He knows 10 standard teams, is able to play 6 games, and also possesses 3 variants of mood, influencing his behavior. MiPosaur is controlled in several ways: using a mobile application, using a joystick ball (trackball) and even hand gestures. A convenient ball controller has 6 positions, each of which causes the robot to perform a specific set of actions. 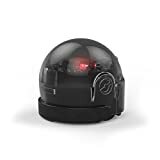 With the help of the trackball, you can: start the dance mode, give the robot a command to perform a bit-box, simulate the feeding of the robot, give the robot a ball for independent play. The robust design of MiPosaur will allow your child to fully express their imagination during the game, without worrying about any damage. WowWee MiPosaur is a great toy that will give children a lot of positive emotions! Ozobot Smart Robot Evo has a phenomenal memory: it can memorize 1000 commands and repeat 500 movements. The robot recognizes colors, so it can follow the color lines on the paper. 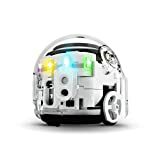 Ozobot Evo is a smart robot that, playing and talking, teaches a child the basics of programming. The robot uses three ways of programming, and also interacts with paper and markers. It has an expressive language of sounds and light signals. Ozobot Evo is equipped with optical sensors and proximity sensor, so that it avoids obstacles and recognizes colors. The robot can be controlled using the Ozobot Evo application. You can send messages to the robot, in response it sends “odoji”, which express the robot's emotions and thoughts. The robot has a tiny hemisphere with a diameter of 3 centimeters, it fits in the palm of your hand. The small size is an advantage of Ozobot Evo: it can be used in the game LEGO and others. On the frontal part there are five light points, on the top one more. Optical sensors are located on all sides for detecting obstacles in the way. From this set you can make 5 models of robots and with the help of a programmable unit, color sensors and the engine you can revive them. The kit includes 843 parts, an interactive engine, a tilt angle sensor, a distance sensor, various sensors, a color-changing backlight, 2 ports and a power button. Download the free app and follow the step-by-step instructions to create and encode any of the 5 multifunctional models. Bring your creations to life with an intuitive icon-based coding interface and complete a number of exciting tasks designed for each model. The model can go back and forth and left-right, make turns and bends. All manipulations with the toy are carried out through an ergonomic remote control or application. The robot has 2 walking speeds, can bend your knees. Moving mechanisms allow you to rotate the torso, makes the slopes to the left - right. The robot has mobile shoulders and arms, it can flap its arms. The robot sees and hears through audiovisual sensors. His eyes not only capture sounds, but also react to them. When moving, the robot can make corresponding sounds to the action. 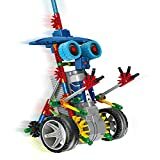 The robot can independently avoid obstacles, move objects, whistle, grumble, dance and much more. The child, controlling the small precise movements of the robot using the control panel, learns to focus attention and develops fine motor skills of the hands. Playing different situations with a robot broadens the mind and broadens logical thinking. 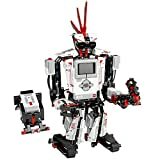 The LEGO MINDSTORMS EV3 consists of 601 parts and includes an intelligent EV3 unit, 3 servomotors, as well as color, sensor and infrared sensors. Your child will be able to collect more than 100 different robots. 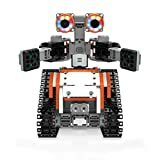 Lego Mindstorms education EV3 is a programmable robotics design suite that gives you the ability to create and manage your own LEGO robots. Inflame your children's interest in learning by solving real-world problems. Make the study of computer science, physics, technology, engineering and mathematics exciting and motivating. Achieve learning goals by taking your students to a new level. This great little robot is ready to shoot and start up the children and their learning! From childhood and preschool age they will actively think, move, dance and answer the questions of a new friend, as well as analyze the situation and follow the hated instructions during a fun game. Thanks to 3 exciting modes and 6 games, children have fun, imagining children and encouraging them to move, to make logic puzzles, to suggest how to follow the instructions of fun games, or to dance and laugh funny and with their funny movements. With 360 degrees of mobility, robot encourages preschoolers to activate their bodies and minds while teaching them. Children will have a great time demonstrating their ability to listen and dance with this interactive learning robot. When Movi asks the children to think about an object and asks them in what way it is, it is encouraging them to carry out critical reasoning! Dance steps and movements: Whether it's setting up a dance party or imitating different animals. Propel kids to their next level of coding skills. The award-winning Cue robot is designed for kids who have an interest in coding. Cue will help them transition from block-based code to state-machine and text-based programming. Empower independence and individuality. With a growing library of in-app demos, tutorial, and challenges, Cue supports kids’ self-guided exploration of programming languages, robotic capabilities, and personally meaningful projects. A fun feature that will appeal to modern children is the chat mode. Cue uses AI technology to send and receive messages by answering questions, telling jokes and more. Unlike some other robots for older children, Cue comes already built. So the focus is more on what you can do and how you interact with the robot than learning how to build it. Cue comes packed with technology which lets you interact in real-time. Ozobot Bit is one of the smallest robots in the world. Its size is 16 cubic centimeters. With Ozobot robot, children get the experience of artistic creation, problem solving and group games, which begins with drawing code fragments with colored markers. The ability of the Ozobot robot to memorize and execute programs created by a child completely changes the processes of play and learning. 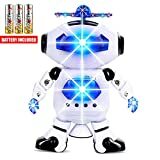 The robot teaches the basics of programming with the help of games and interesting tasks, helps to develop creative thinking in a child and programming. 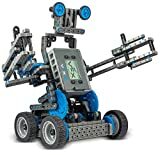 VEX IQ is a robotic platform designed to accelerate STEM learning, allowing you to create your own and programmable robots. With VEX IQ, you can connect and bring together these bright robots using intuitive, tool-free components. With this kit, you can follow simple step-by-step instructions to create your first robot, learn the basics, and then take advantage of the unsurpassed versatility of the VEX IQ system. The robot designer allows you to assemble one of three different models: AstroBot, Rover or Astron.The robot is assembled using the Jimu mobile application, which has a three-dimensional step-by-step instruction built in, thanks to which the creation of the robot turns into an interesting and fascinating action. Jimu Robots can not only execute motor commands and move in space, but also speak and wink with LED eyes. The robot's infrared sensor helps identify, manipulate, or bypass objects. The possibility of playing with friends or family! Joint game develops social skills, adapts a child to work in a team. The robot has the ability to program, which has a positive effect on the creative development of your kid. Special social network unites more and more players who have already enjoyed the development of the company Jimu. In some European schools, this project was recognized as a real educational material. The robot moves along the steps and is equipped with an infrared sensor to detect objects that it can lift or move around itself. MIP robot has seven modes of operation. To change the mode, simply turn the left or right wheel of the robot in any direction. When changing the mode, the color of the LED indicator changes. Orange - Follow mode. 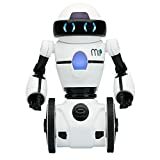 MIP robot will follow you, as if on an invisible leash! 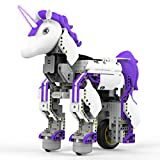 Because unicorns are naturally associated with rainbow and color, Robot Mythical is the first JIMU robot with an integrated color sensor that recognizes up to eight different colors. Create completely new custom actions: posture, recording, playback. No tools required - 3D, 360 ° animated construction instructions guide you through the steps. The unicorn robot brings a new sense of magic and wonder when creating robots. Children are attracted to unicorns because of their feelings of charm and strength. Use intuitive block coding to program the UnicornBot LED beep to change color depending on how it feels. Parents often buy robots for children, hoping to arouse interest in science and technology. Sometimes it turns out that these robots are no more than remote-controlled toys. But they have great potential for learning through the game. Many programmable toys have appeared on the market. They demonstrate the benefits of programming to children by instantly executing the commands created. 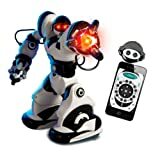 Robotic toys that you can control with your phone are not only great fun: they are also a tool for the educational process. 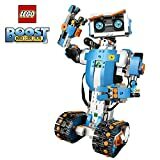 Regardless of whether you want to learn how to program yourself or want to inspire your children and help them start the process of knowledge and invention, an interactive robot is a great idea to start. The best interactive robotic toys are represented in our Robottler’s review.